Recently my company hosted a children’s holiday party for our associates and family. 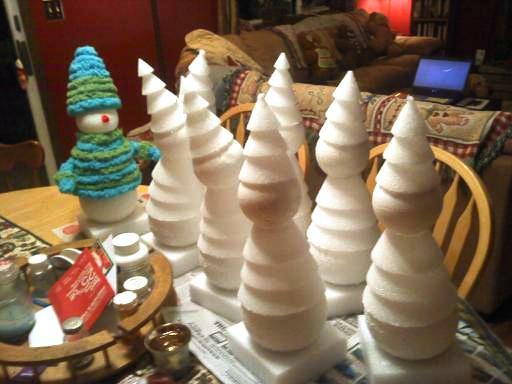 The theme was snowmen. One of my tasks in preparing for this party was to figure out what the centerpieces would be. We wanted something to go with the theme but not too costly. 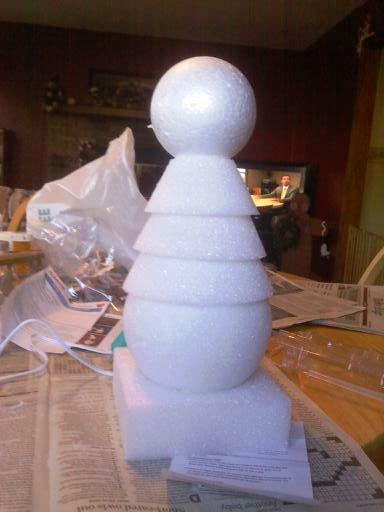 I was thinking of just doing 3 Styrofoam balls stacked and decorated but I was afraid it would look cheap. 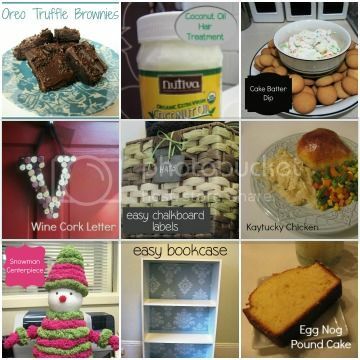 Of course I decided to peruse pinterest to come up with an idea. I came across this pin from AlyssaBeth and thought it was cute. I figured I could do two or three of them per table. 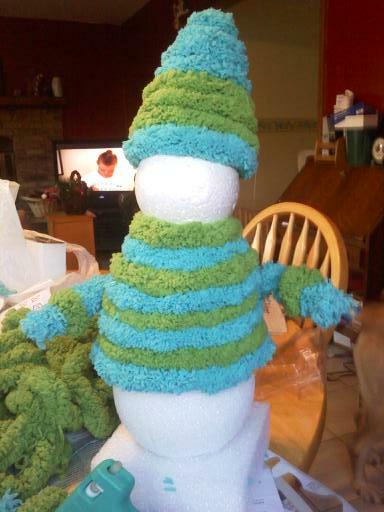 So off to ACMoore I went with AlyssaBeth’s snowman as my inspiration. The first thing I noticed when I got to ACMoore was that all Styrofoam products were 50%! Already I knew this would be a successful shopping trip. Then as I was perusing the aisle trying to decide what size Styrofoam balls to buy I saw this craft idea hanging up. For eight of them, it cost about $120. Not too shabby! Now you’ll have to excuse my photos. I did most of this while I was home visiting my parents and didn’t have my camera with me. I only took a few pictures and they were all taken on my phone. Glue the six inch ball to the Stak tree base with the small opening facing up. Glue & stack the bottom three rings of the Stak tree to the top of 6” ball. Glue the 4” ball to the top of the rings for the head. 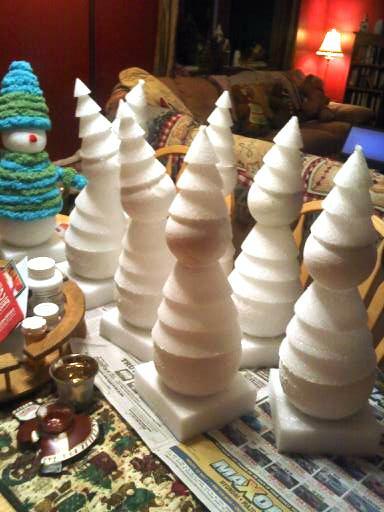 Paint the 6” & 4” balls with Snow Accents. Stack the last 4 rings on top of the head. Cut lengths of yarn to fit around the Stak tree rings and glue into place. Fold a chenille stem in half and twist the ends together for the arm. Wrap a piece of yarn around the chenille stem starting about ½” up from the twisted end and glue into place. Cut a small length of the opposite color yarn and glue around the end of the arm for the gloves trim. Repeat for the second arm. Insert the arms on each side of the body. Glue to secure (I sadly forgot this step). Glue on the pom pom for the nose and paint on the eyes. At this point, I wanted to leave them without mouths. I thought they looked adorable and I was afraid of messing them up after putting so much work in. But after thinking about it, I figured kids would probably want the snowmen to have mouths. So the final step is to paint that on. And you’re done! If I was a bit more artist, I would have painted on different expressions on the faces of each snowman. They came out really cute and were perfect as the centerpieces! Everyone at the party really enjoyed them and wanted to take them home. Since there are only 8 of them, we had to hold a raffle to see who could keep them. They were fairly easy to make but it was very time consuming to make 8 of them. How do you think they came out? *Our adult holiday party is in mid-January and peacock inspired. Stay tuned to see what I come up with for that party based on pins I’ve seen. Update: Looking for other winter centerpiece ideas? Check out my igloo centerpiece.